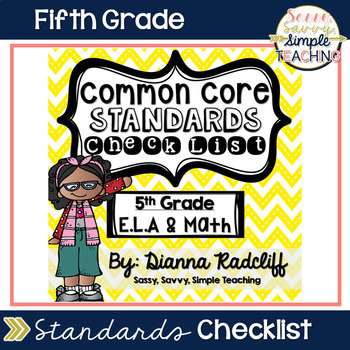 This is a 5th Grade Common Core Checklist for teachers to use. 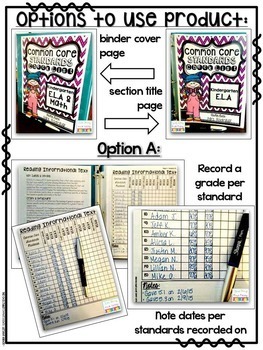 This tool can be used in your Assessment notebook to monitor student's mastery of each part of the ELA and Math standards or to track when instruction and assessments were given for each standard. 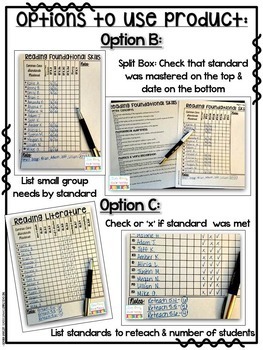 Simply fill in students names and mark off if the student has or has not mastered a standard. 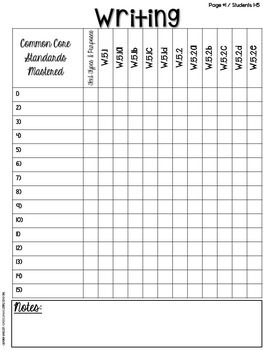 You can also use it to record a grade per standard or mark the date when assessed or taught. Great for driving instruction and parent conferences. This will help you make sure you are teaching every part of the core! I suggest keeping this product in a binder with clear sleeves or in a file system of your choice for easy access. Thanks so much & enjoy!